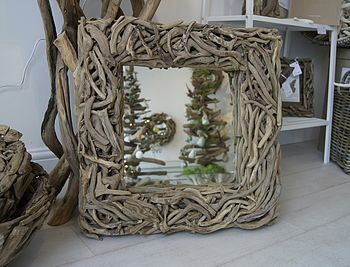 A gorgeous Atlantic driftwood mirror. 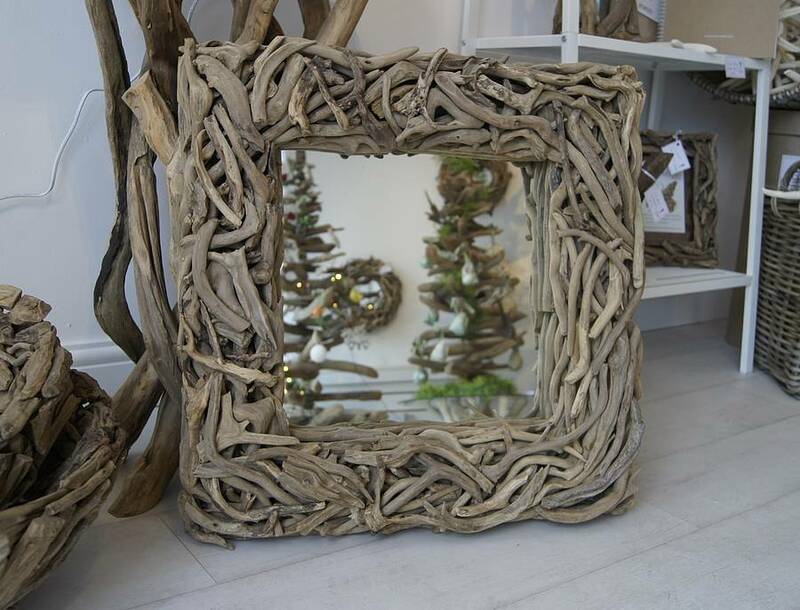 These two new styles are from our 'Designed By' range, the square mirror measures 60cm square overall, with the glass being 35cm square and the frame 8cm deep. 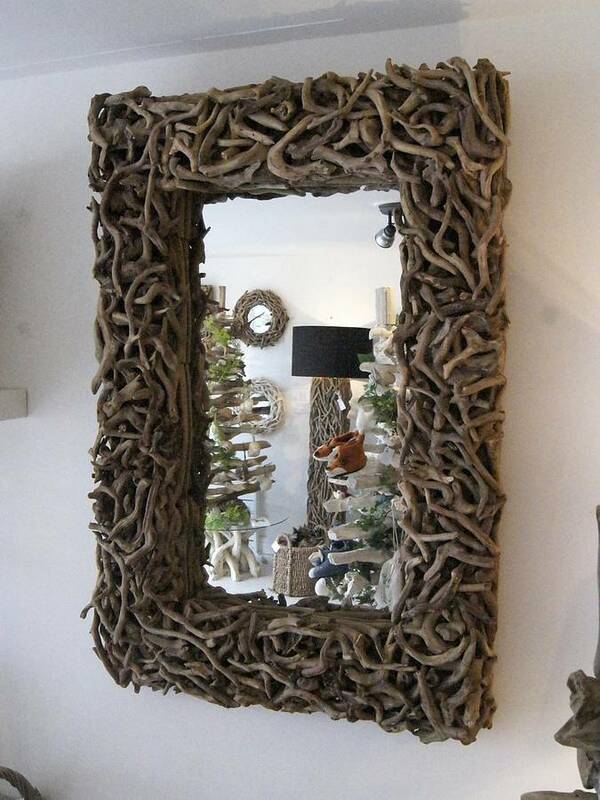 The rectangular mirror is 95cm x 65cm x 8cm overall. The glass measures 65cm x 37cm and I only have one left. This product is dispatched to you by Doris Brixham.